At the bottom of this section, you will find the Water Cures Advanced Protocol Electrolyte Drink. 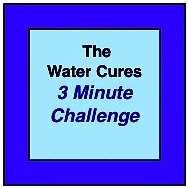 Also a link to the Water Cures 3 minute challenge. 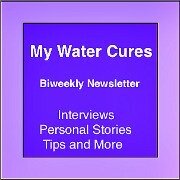 It is a simple way to test the water cures protocol and see if it will work for you. Warning: If you have kidney disease or CHF then this is not for you. If you are on a potassium or sodium restricted diet, then this is not for you. 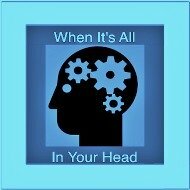 If you are on numerous medications and or are under a doctors care, this is not for you. 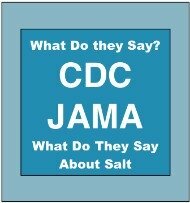 If you have been on a low salt diet, starting to use salt may result in feeling lightheaded or even passing out. For any wanting to use this protocol, you should only proceed with the supervision of a health care professional. Some go through life just existing. If this is you, skip to the bottom where you will find the recipe. If you want to attain peak performance, then consider and understand what electrolytes do and why we need them. By understanding what electrolytes do, you will be better able to tweak your individual electrolyte drink. You will also be able to know what your needs are by how you feel depending on what electrolytes you are taking. Those trying to manage or eliminate disease and conditions, understanding the specifics covered here provides the basis for your understanding and treatment. There are seven electrolytes essential for life. These are mostly obtained from the foods we eat. Those who use the Water Cures protocol get most of these electrolytes from the unprocessed salt they use as part of the protocol. Magnesium (Mg++) high magnesium foods include dark leafy greens, nuts, seeds, fish, beans, whole grains, avocados, yogurt, bananas, dried fruit, dark chocolate, and more. The current daily value (DV) for magnesium is 400mg. 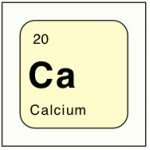 Calcium (Ca++) Skip the dairy as studies show it can be bad for health. Go for white beans, 191 mg in 1 cup, salmon with bones 1/2 can 232 mg, sardines 321 mg in 7 sardines (bonus, vitamin D and omega 3's too, dried figs 108 mg in 8 figs. Bok Choy has 74 mg per cup. Black strap molasses 172 mg in 1 tablespoon, raw kale 188 mg in 2 chopped cups. and much more. Think, where do cows, who have strong bones get their calcium from? Phosphate (HPO4–) The required Daily Value of phosphorus is 1000mg. It is readily available in most foods, both vegetable and animal. Pumpkin and Squash seeds have 1600mg per cup. Romano cheese has over 200 mg per ounce. Bicarbonate (HCO3-) Our body makes this in the pancreas. Outside of the body sources are few but the primary source is baking soda. Most usually recommend aluminum free baking soda. 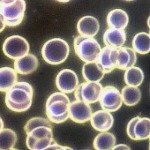 Electrolytes provide the electricity within the cells so that they can communicate with other cells. Many of our body functions require the electrical communication the electrolytes make possible. These functions could be muscle function, maintaining acid base levels and the level of fluid balance. An imbalance of electrolytes could be life threatening. Electrolytes are essential for the most obvious, brain function and muscle contractions. There are numerous other ways they help us in maintaining health or healing from states of dis-ease. However, too much of a good thing can be bad. Too much of a good electrolyte can be bad. As an example, too much calcium from supplements can cause heart beat irregularities. Likewise, bicarbonate also regulates muscles. If there is not enough bicarbonate, an irregular heart beat could result. By having the right balance of electrolytes, it is possible to improve functions of the body. Using the Water Cures advanced protocols, many have seen numerous benefits. They have seen various benefits. Some have seen improved vision. Most get pain relief. Some note an end of neuropathy pain. Many note improved mental status. Will the Water Cures protocol improve your human experience? Try it for yourself. 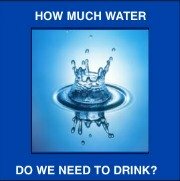 Try the Water Cures 3 Minute Challenge to start your personal test. The Water Cures Advanced Protocol involves several variations. Each variation can be added or removed depending on your particular needs. Most start off with the basics and then add to the mix until the right blend is found. Liquid Chlorophyll: 2 table spoons mixed in the water with the salt. 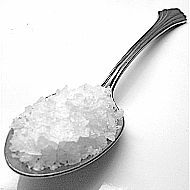 Raw Sugar: 1 teaspoon dissolved in the water (note: Sugar in the Raw is not raw sugar. It is not recommended). Some need the extra sugar in order to make the process work. Instead of water, use filtered orange juice. Best if it is fresh squeezed. It has to be without the pulp so your body reads it as vitamin and mineral fluid and not as food. Most people get potassium from a diet rich in fruits and vegetables. However, some people eat a meat rich diet and may not be getting enough potassium. Some have indicated that they use a salt substitute potassium salt. Note: Adding potassium to your diet should only be done with the supervision of a health care professional. When you have a lack of potassium, there are some common symptoms people experience. Low potassium symptoms are also called hypokalemia. This because the atomic symbol of potassium is the letter K.
Dr. Batmanghelidj said we also need amino acids. These are the building blocks of of proteins. When ever cells are damaged by disease, injury or insult, the amino's help the body rebuild and repair. There is even science behind this. Nutritional interrelationships of electrolytes and amino acids. The best source of amino acids is raw eggs. In addition to amino acids, raw eggs have about 25 grams of cysteine. Cysteine is part of the building blocks of glutathione or GSH. The GSH we make in our body does numerous things in the body. The cysteine in the raw eggs is only a bonus. It was not a part of the rational for the advanced protocol that Dr. Batmanghelidj taught people to use. How many eggs a day? He recommended about 6-8 eggs a day to get the sufficient amount of amino acids that we would need.